With cities across Canada imposing water restrictions, hot tub owners may need to curb or reduce the frequency of scheduled water changes. Here are a few ideas from the team at Hot Tub Covers Canada on how to make your hot tub water last longer. 2. Always keep water balanced and properly sanitized. 3. Test your water regularly. Do not add more chemicals than you need. 4. If possible, remove 8-12 inches of water at least once a month, replacing with fresh water. 5. 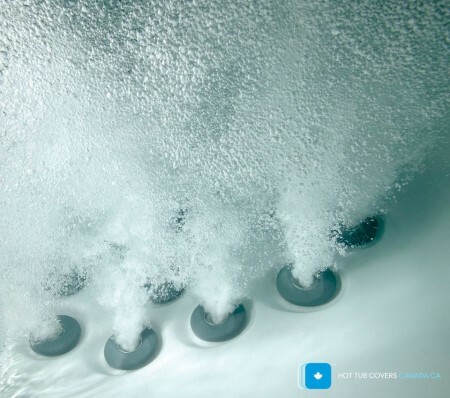 Use a hot tub ozonator to improve water quality, and reduce chlorine or bromine usage.